Did you know that dogs can feel stressed just like people do? It’s true, and if you know the signs, then you can get your dog the help necessary to make her feel better. Your dog is sensitive and has feelings and needs, and when things start to go badly for her, make her afraid or worry her, she can begin to experience dog stress. That leads to all sorts of health problems, and it can contribute to an early death, so watch for the following dog stress warning signs. It’s normal for dogs to lose hair, after all, you clean up what they shed every day. And some dogs lose even more hair as they age. But severe hair loss, especially in younger dogs, is a warning sign something is wrong. Look for excess hair in your dog’s sleeping areas, as it may not always be evident from looking at the dog herself. Watch for missing patches of hair or thinning hair, which is sometimes a dog stress warning sign. When people become stressed, they can start to experience intestinal problems like diarrhea, and the same thing can happen to dogs. 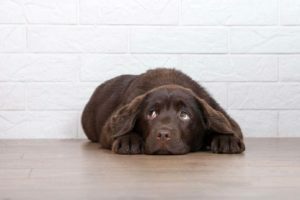 Of course, diarrhea can occur for all sorts of reasons, but if it persists for more than a few days, then that should be cause for concern, and you should tell your veterinarian about the issue. Diarrhea is not the only intestinal issue your dog may face as a result of being stressed, though. Your dog can also suffer from constipation and a variety of other digestive problems. Diarrhea tends to be the most obvious. 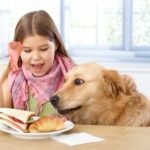 If your dog seems to keep to herself recently and not spend as much time with you or the other animals in your home, then that should be cause for concern. Your dog may be showing signs of isolation, which could be the result of stress. Dogs that suffer from anxiety and fears will not want to stay around other creatures for long, so being isolated can make them feel safer and less stressed out. Pay attention to your dog and these kinds of indications, as you may not catch them unless you are looking closely. 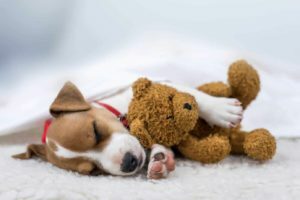 How much sleep is too much sleep for your dog? Well, if your dog is sleeping more than usual, then you may want to consider that she is suffering from stress. Dogs that feel constantly stressed will be tired, at least mentally. They will compensate by sleeping more to deal with the situation. Watch for changes in your dog’s sleep patterns, and if your dog is oversleeping or taking frequent naps, that could indicate she is feeling stressed. Always be aware of any significant behavior changes. 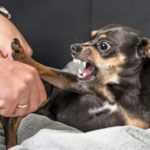 If your dog is suddenly aggressive toward strangers, other animals and even people and animals that she is familiar with, that’s a dog stress warning sign. Dogs that are experiencing stress tend to become protective and defensive. They may think that everyone and everything is against them, so they believe it is normal to be aggressive. You’ll know this is happening if your dog pairs aggression with submissive and fearful body language. Your dog may be aggressive one moment and then whimper the next and look ashamed by her behavior. If there is a constant gap in your dog’s lips, then that can indicate that she is harboring aggression under the surface. 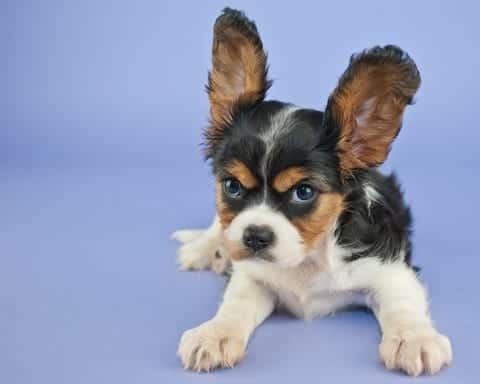 This type of facial expression means that your dog is feeling aggrieve and is ready to bite, so pay close attention to how your dog looks and behaves. You may be able to catch stress symptoms early before they can do lasting damage. Excessive panting is another dog stress indicator. 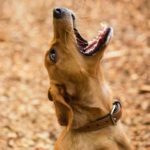 Of course, it can also mean that your dog is tired, but if your dog is panting a lot even when she has not exerted herself, that means there is something wrong. Look at how much your dog pants and if she seems to be panting for no reason. 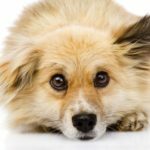 If your dog is showing unexplained signs of stress, then you will want to get her looked at immediately. 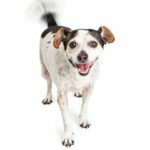 The sooner you inform your veterinarian, the sooner your dog can get some help, and you can figure out how to reduce or remove the stress from her life. 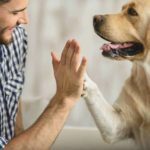 Your dog may not show as apparent signs of stress the way a human would in the same situation, but if you know what to look for, then you can do something about it. Examine your dog if you notice any strange behavior, and as soon as you suspect something is wrong, let your veterinarian know. If your dog is experiencing stress, consider using the Calmz Anxiety Relief System for Dogs, which uses a proven combination of vibration and acoustic therapy to reduce anxiety. You also can give him calming treats like YoPup Chill Out Biscuits or Zesty Paws Stress & Anxiety Calming Bites. 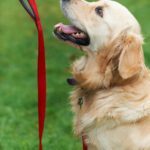 David Anderson is the content editor at pupjunkies.com, a website dedicated to helping dog guardians love their pups better.